One Mom's Moxie: 3 - $50 eFavorMart Gift Cards Giveaway! 3 WINNERS!!! 3 - $50 eFavorMart Gift Cards Giveaway! 3 WINNERS!!! Welcome to a eFavorMart.com Giveaway,where 3 winners will each receive a $50 GC to buy whatever they wish on their website! Hosted By Emtpynester Reviews and her favorite Blogger Friends! Weddings, Grand Birthday Celebrations, Milestone Recognition Parties, and even medium to small gatherings…any coming together of people and occasions, eFavorMart.com would like to be part of it by supplying unique linens, centerpieces, decorating supplies and silk flowers. And as eFavorMart.com continues to grow at a remarkable rate, we are consistently adding the latest in innovative styling accessories such as the Endless Diamond Rolls, Submersible LEDs, Majestic Dance Chandeliers, and many more high-end stuff that you can get at eFavorMart.com at comfortable prices. Truly, we are here to ‘Color Your Events’ and make each occasion truly Princess- or Diva- quality! You’ve earned it, so it’s time to celebrate BIG! eFavorMart is making my daughters wedding planning such an easier mission for us in being a one site shopping experience with everything we need and many items we didn't realize we would! They have such an array of amazing items for us to choose from, but not only that, they have great prices!! Whether you are a "Do it Yourself hands on Party hostess" or a busy hustling hostess that does not have the time, eFavorMart has all that you need to make any party you plan beautiful! We have selected already a few favorites such as the mini Calla lilies, the full LOT of decorations, and the lighted back drop, all as shown below. Shopping for decor for my Son's graduation also, so heading now to the paper lanterns page! Enter on the Rafflecopter below to enter to win 1 of the 3 $50 GC. 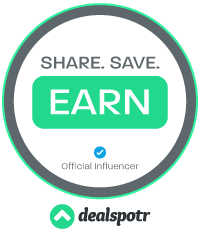 Disclosure: Emtpynester Reviews will be choosing the winners from the Rafflecopter Widget and Contacting eFavorMart to get the codes to the winners. The opinions in this post are completely Emptynester Reviews and not those of any other Blogs that are participating. http://www.efavormart.com/remote-controlled-fairy-nest-assorted.aspx fairy lights would make for a beautiful outdoor party!